BROTHER DR2000 Photoconductor Toner Drum Remanufactured Yield 12,000 Pages. BROTHER DR2100 Black Drum Remanufactured High Yield 12,000 Pages. BROTHER DR5500 Black Drum Remanufactured Yield 40,000 Pages. BROTHER DR8000 Black Drum Remanufactured High Yield 8,000 Pages. BROTHER Original TN01 Toner Cartridge Set Yield 10,000 Pages. BROTHER Original TN01 Black Toner Cartridge Yield 10,000 Pages. BROTHER Original TN01 Cyan Toner Cartridge Yield 10,000 Pages. BROTHER Original TN01 Magenta Toner Cartridge Yield 10,000 Pages. BROTHER Original TN01 Yellow Toner Cartridge Yield 10,000 Pages. BROTHER TN11 Black Toner Cartridge Remanufactured Yield 8500 Pages. BROTHER TN11 Cyan Toner Cartridge Remanufactured Yield 6,000 Pages. BROTHER TN11 Magenta Toner Cartridge Remanufactured Yield 6,000 Pages. BROTHER TN11 Yellow Toner Cartridge Remanufactured Yield 6,000 Pages. 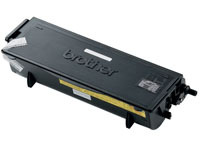 BROTHER TN12 Toner Cartridge Set Remanufactured. BROTHER TN12 Black Toner Cartridge Remanufactured Yield 8,500 Pages. BROTHER TN12 Cyan Toner Cartridge Remanufactured Yield 6,000 Pages. BROTHER TN12 Magenta Toner Cartridge Remanufactured Yield 6,000 Pages. BROTHER TN12 Yellow Toner Cartridge Remanufactured Yield 6,000 Pages. BROTHER TN135 Black Toner Cartridge Remanufactured Yield 5,000 Pages. BROTHER TN135 Cyan Toner Cartridge Remanufactured Yield 4,000 Pages. BROTHER TN135 Magenta Toner Cartridge Remanufactured Yield 4,000 Pages. BROTHER TN135 Yellow Toner Cartridge Remanufactured Yield 4,000 Pages. BROTHER TN230 Toner Cartridge Set Remanufactured. BROTHER TN230 Black Toner Cartridge Remanufactured Yield 1400 Pages. BROTHER TN230 Cyan Toner Cartridge Remanufactured Yield 1400 Pages. 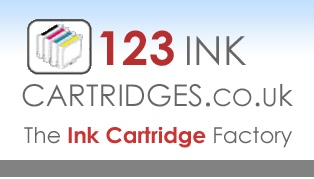 BROTHER TN230 Magenta Toner Cartridge Remanufactured Yield 1400 Pages. BROTHER TN230 Yellow Toner Cartridge Remanufactured Yield 1400 Page. BROTHER Original TN1200 Black Toner Cartridge Yield 12,000 Pages. BROTHER TN2005 Black Toner Cartridge Remanufactured Yield 1500 Pages. BROTHER TN2110 Black Toner Cartridge Remanufactured Yield 1500 Pages (Also See High Capacity TN2120 / TN2120X). BROTHER TN2120 Black Toner Cartridge Remanufactured High Yield 2600 Pages (Replaces TN2110). BROTHER TN2120X Extra Large Black Toner Cartridge Remanufactured High Yield 4500 Pages (Replaces TN2120). BROTHER TN2210 Black Toner Cartridge Remanufactured Yield 1200 Pages (Replaces TN2220). BROTHER TN2220 High Yield Black Toner Cartridge Remanufactured High Yield 2600 Pages (Replaces TN2210). BROTHER TN3060 High Capacity Black Toner Cartridge Remanufactured Yield 6700 Pages. BROTHER TN3230 Black Toner Cartridge Remanufactured Yield 3,000 Pages. BROTHER TN3280 Black Toner Cartridge Remanufactured Yield 8,000 Pages. BROTHER TN5500 Black Toner Cartridge Remanufactured Yield 12,000 Pages.